We all know how important it is that your business is represented in as many places as possible, all the time. We also know the importance of curb appeal and high-quality branding that will really turn heads and make people notice. Where better to place marketing material for your company than the top of a car? A moving, visible part of everyday life. Taxi’s have been doing it for ages, albeit in a very toned down manner. Currently there are many different options and variations available for any business who wants to leverage this powerful marketing tool. 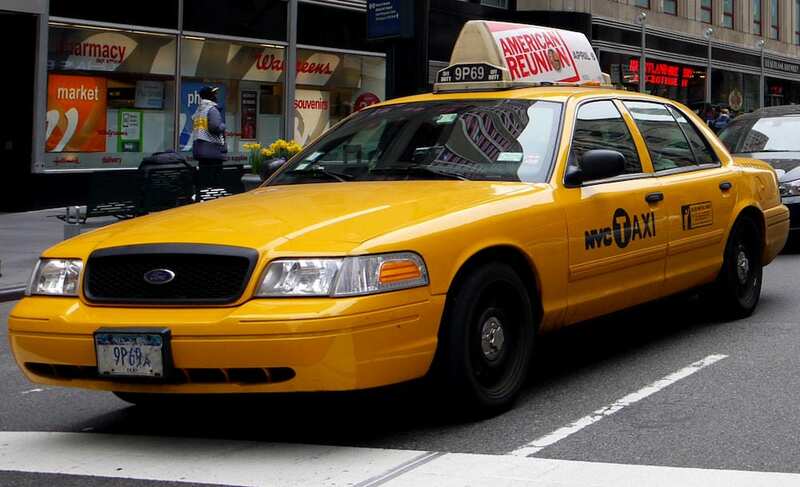 What are the benefits of taxi top advertising? No doubt when you read this sentence you immediately thought of NYC’s iconic yellow taxis. They are everywhere in New York City, are in constant contact with many different people and individually cover huge distances on a daily basis. It used to be that they only had a small sign with a plain “taxi” printed on it. Nowadays many businesses employ this opportune space to not only make their company more visible, but spread information at any place and any time. You have most likely seen these ads before. They are hard to miss. Most good taxi tops are also backlit for visibility at night and adds to NYC’s nighttime splendor. What makes them even more effective is that they are double sided and right at eye level. What can a moving billboard do for your business? This marketing strategy is especially effective in a sprawling city like New York and other cities across the USA and beyond. Just think of how much time is spent by how many people in traffic every day. Imagine having your company’s promotions, contact details, brand and slogans among them. Be prepared to have public awareness around your business soar. If you haven’t added this to your marketing arsenal yet, it’s high time you consider it. Just think of the extra coverage your business will receive. Taxi top printing falls under our NYC Large Format Printing division. As this division deals with more ambitious and complex projects our team stands ready to guide you hand in hand through the process. Be at ease, we take care of all the technical bits, all you have to do is tell us what you need and what your idea is. We will create the marketing material around your idea, send it through the production process and care for it all the way through to deployment. As mentioned before, Varick Street Litho (VSL Print) will leverage it’s level of professionalism, creativity and experience to provide you with the best taxi top printing solution. You can be assured that your taxi top will not only catch passerby’s attention, but call your potential customers to action. Varick Street Litho brings together everyone from designers to production specialists into a team dedicated towards making our clients ideas a reality. We see the process through from concept, to production, and ultimately fulfillment. Varick Street Litho utilizes the latest technologies along with the highest quality colors and substrates we can find to bring our clients in NYC and across the country a whole spectrum of printing services. No matter how big or small your business needs, you can rely on Varick Street Litho for a comprehensive printing solution. What is Digital Poster Printing in New York?